What other uses can I find for pinhole cast on? So, you've read the tutorial, watched the video, started (or even finished) Alex the Mouse, but what else is there to do with pinhole cast on? Flicking through the knitalong thread on Ravelry, alongside the woollen rodent infestation, you'll see that many people are taking the opportunity to apply the technique to a variety of of other projects. Toys are an obvious one, and Pinglewin by Anna Maltz (Sweaterspotter) is simply marvellous. Being a circular cast on, the pinhole is a great starting point for top-down hats such as Concentricity by Woolly Wormhead, or Urania's Tam by Romi Hill. One of the best opportunities to practice this technique is with a modular blanket. Squares are worked from the centre outwards, and the circle is flattened out by using well-placed increases. 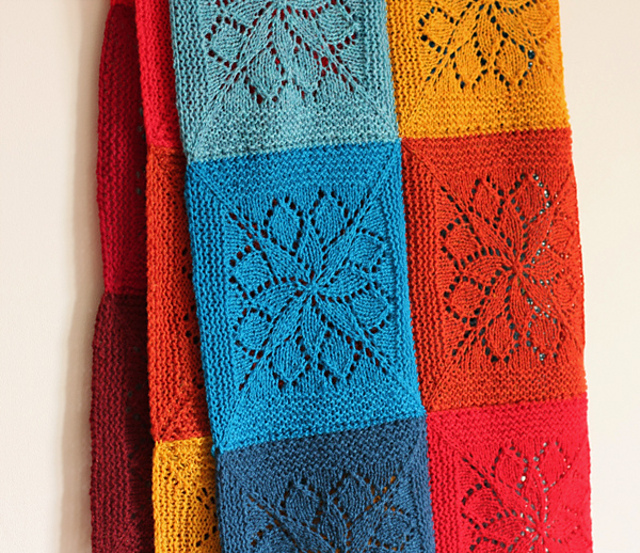 Kate Davies' Birlinn blanket, from her most recent book Inspired by Islay (available from our shop) is a great example. Whatever you are making this month with a pinhole cast on, do make sure you share your work in our Ravelry group.